Home Society PR This Week Carlos Kremer wins Top Cage Announcer of 2017 for Brave! Carlos Kremer wins Top Cage Announcer of 2017 for Brave! 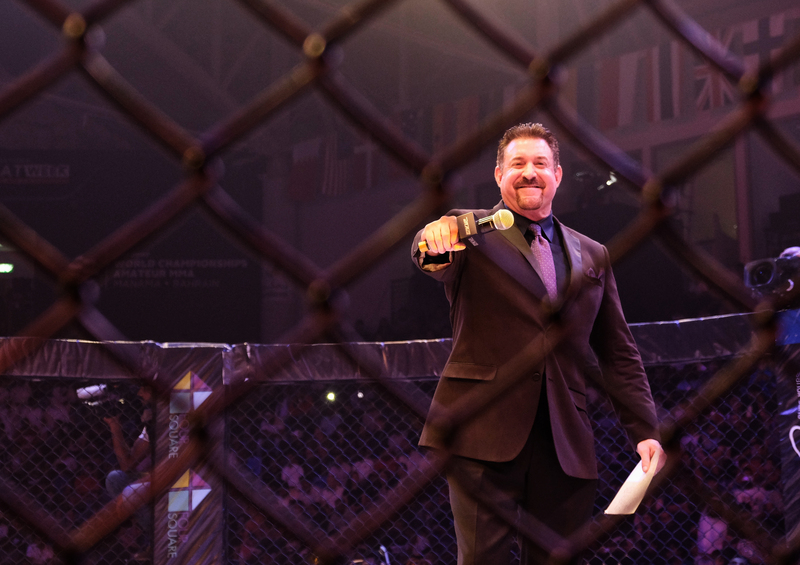 Carlos Kremer, the Cage Announcer of Brave Combat Federation wins the award for the Top Cage Announcer of 2017 issued by Fightbook MMA. Carlos Kremer has hosted all the nine editions of Brave Combat Federation in all the six locations around the world. Carlos also hosts the signature weekly show – Brave News, that covers the life and latest updates in the MMA world, which has successfully crossed 25 editions. Kremer is a U.S. Marine Corps veteran and a Hollywood actor, known for his roles in The Gender Bowl (2005), Smile (2017) and The Search (2013). He has also competed in boxing as a heavyweight contender in San Diego. Kremer finished 3rd at the IBJJF World Championships in 2013. Kremer had hosted various radio shows in San Diego, and has appeared on famous TV shows such as The Dating Game, American Choppers and Gene Simmons’ Family Jewels. The cage announcer of Brave Combat Federation thanked His Highness Sheikh Khalid bin Hamad Al Khalifa for giving him the opportunity and for the success of Brave. Kremer took the opportunity to remember his father who recently passed away and dedicated the award to Aloysius “Al” Kremer.